Get Ready for Rock Music Multanis, The Legend is Back. 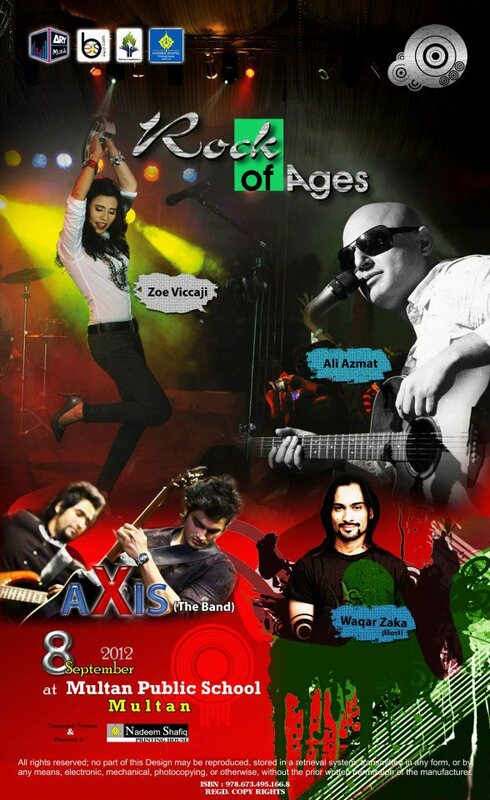 Ali Azmat (Junoon Band) is coming LIVE to Multan to let you dance till you you drop with Zoe Viccaji for the very first time in Multan & AXIS the Band. Daring King, Waqar Zaka will be with you throughout the show to host the show. Grab your passes ASAP. Tickets out for Sale. VIP Tickets coming soon, Pre-order Now for Special discount.